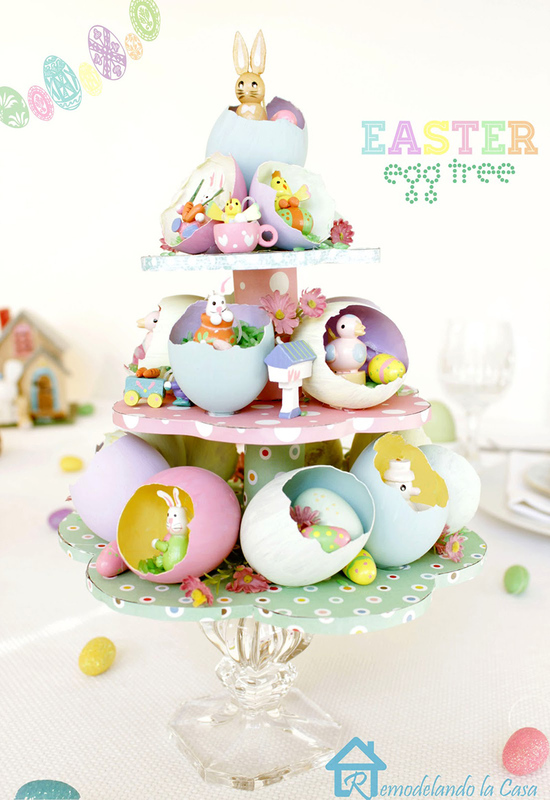 Egg decors can look nice all year round and it is very easy to make! I actually think it is really fun to decorate eggs. I have been doing some egg crafts but didn’t get to finish them. 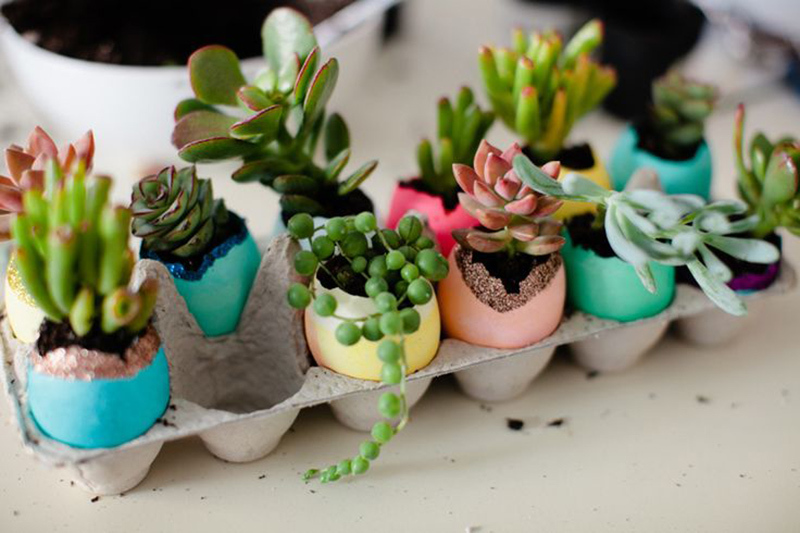 I thought I was the only one keeping empty egg shells in my drawer but there are also other people who love making stuffs who keep eggs shells and make some lovely decors using it -Easter or not. Well, you don’t decorate eggs only during Easter but even when it is an ordinary day. 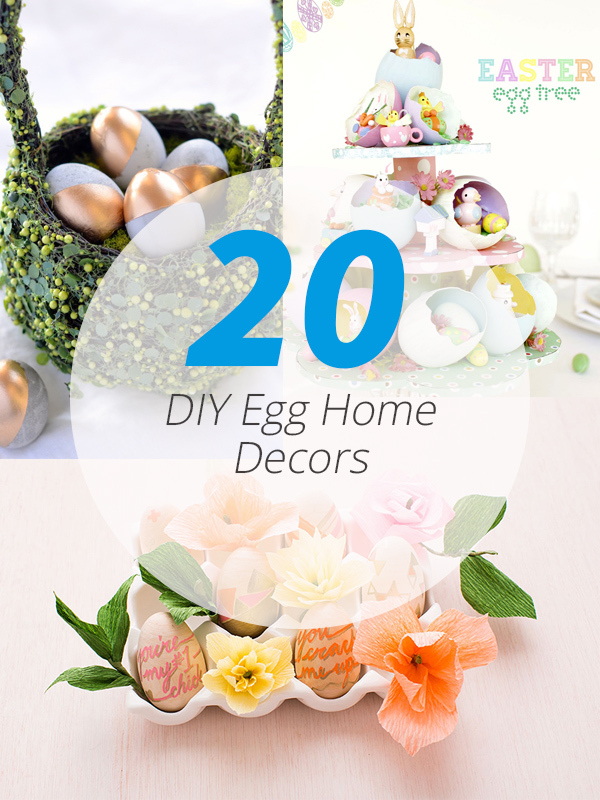 What we are going to show you today is a list of DIY eggs for home decor. Of course, most of them are for Easter but some could also be used for an everyday home decor. You will see that in the list that we have below wherein you can use various materials from paint to gold leaf. Scroll down and feast your eyes on these lovely and very creative egg home decors which could be perfect as a centerpiece, a mantle decor or just let it sit on a shelf or console table. Here we go! How cute! Tiny bunny toys were placed inside real eggs that were painted with different acrylic pastel colors. The stand was made with cardboard and toilet paper roll. Yep, everything is DIY and it looks really lovely! 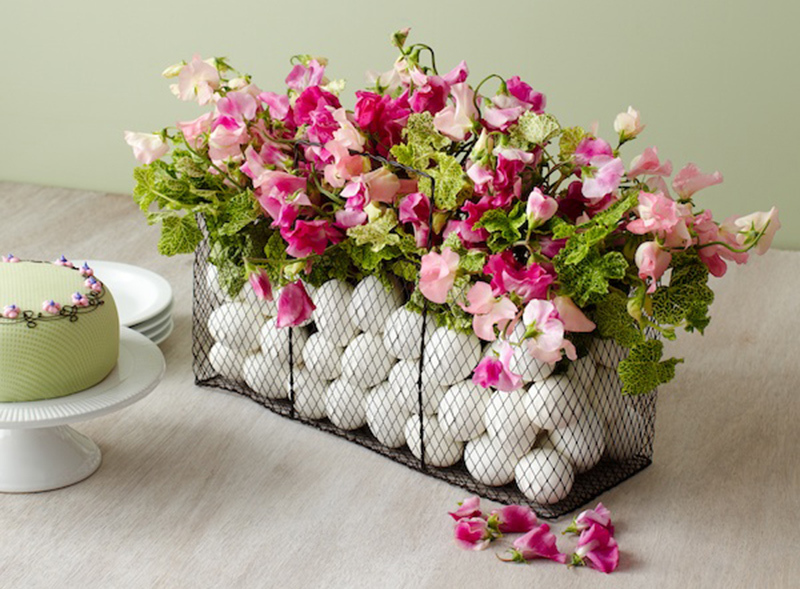 For this one, a wire basket is filled with 5 dozen boiled eggs then Sweet Peas in two shades of pink and Geranium leaves were added. In the middle of the wire basket is a glass vase where the flower goes. Why don’t you spray paint eggs with gold? 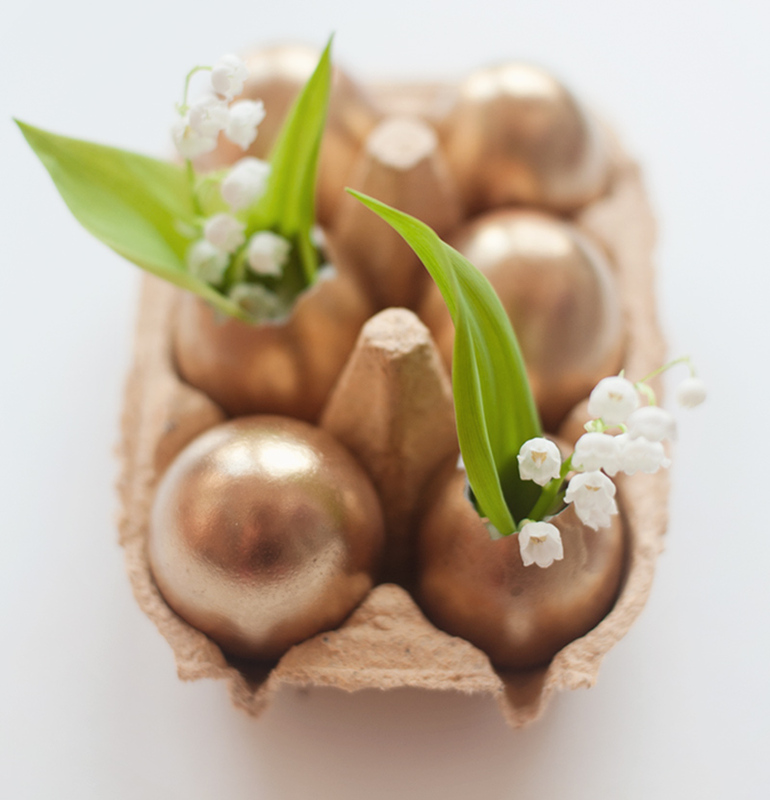 Much nicer is when you open a part of the egg so that it can be a mini vase for small flowers! I so love this one! 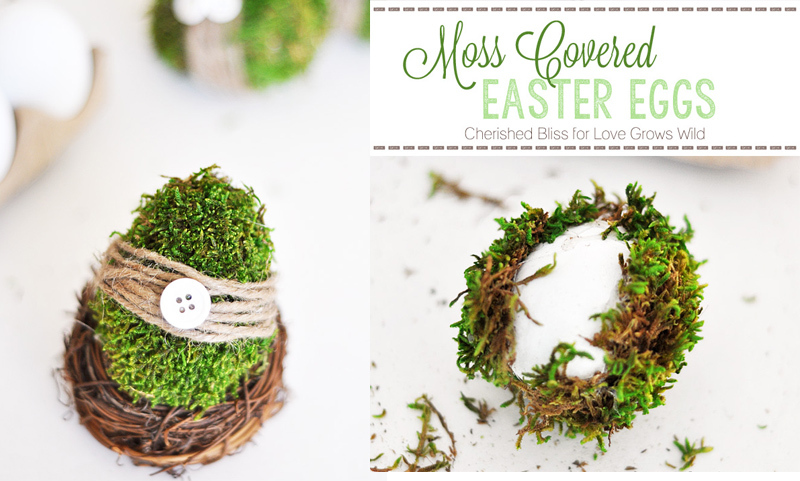 The egg is covered with moss and was placed on top of a DIY nest. What is even cuter? That button on top of it! I guess it was a lot of fun making this one! Just look at how it turned out with so many pretty colors and patterns in it. 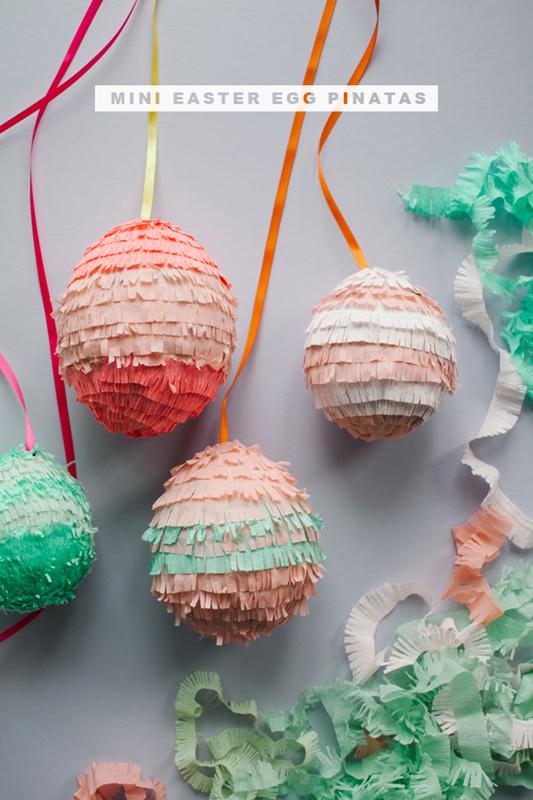 How about some egg pinatas? Just grab some balloons and then glue pieces of newspaper on it. Cut crepe papers in various colors. Super duper cute indeed! 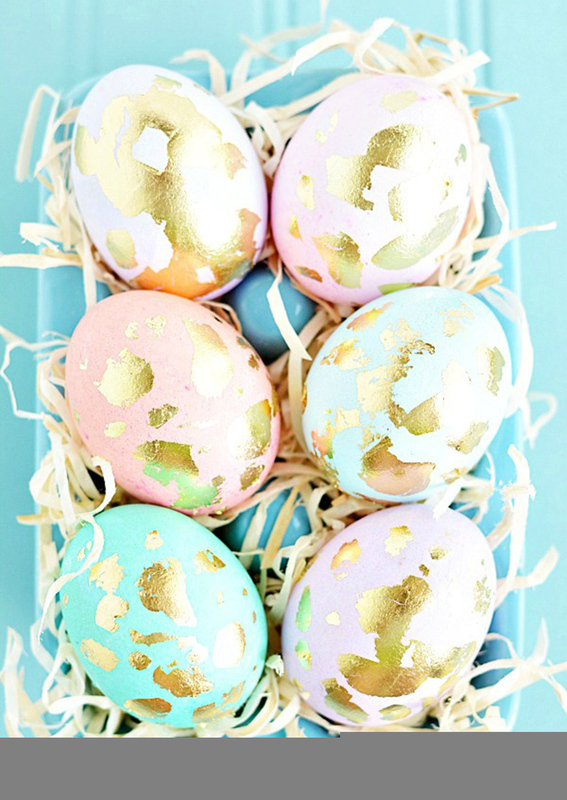 After dying eggs in desired color, place a gold leaf on it and you will get lovely eggs like this. Open some eggs and pour cement inside. 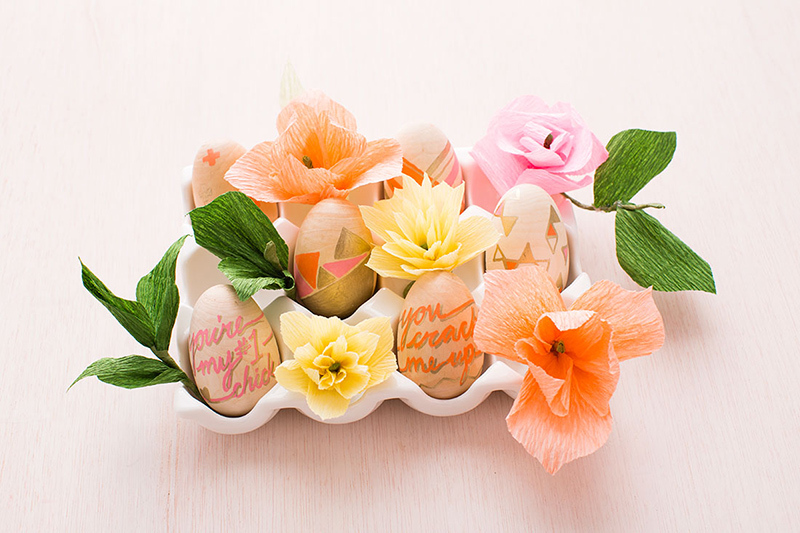 Once dried, peel off the egg shells and you will get these lovely eggs! But it isn’t done yet. Paint it with gold in different creative ways you want. It looks nicer when it is placed on this basket! Isn’t this lovely? 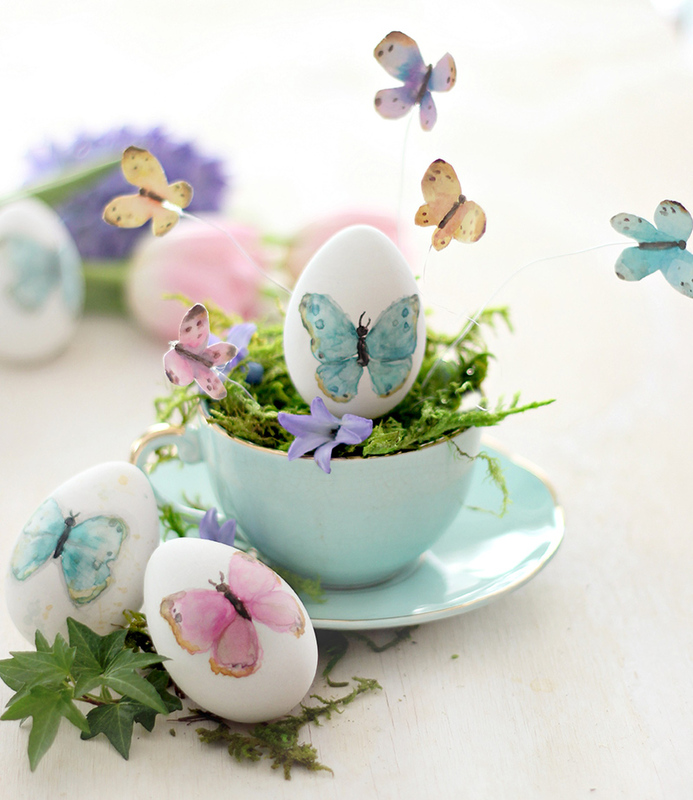 Eggs were painted with butterflies and were arranged in such creative way. Don’t miss those butterflies sticking out from the cup too. 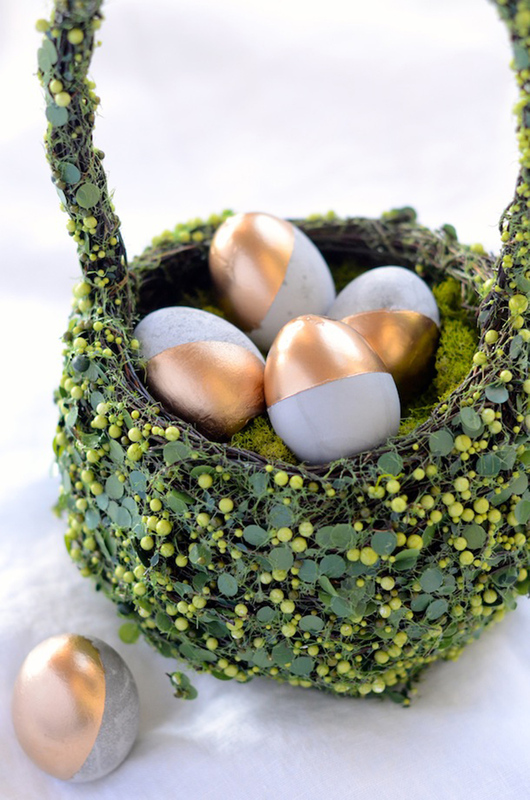 Use craft eggs or paper mache eggs for this project then paint it with whatever color you like before putting them together with Spanish Moss and Green Moss. 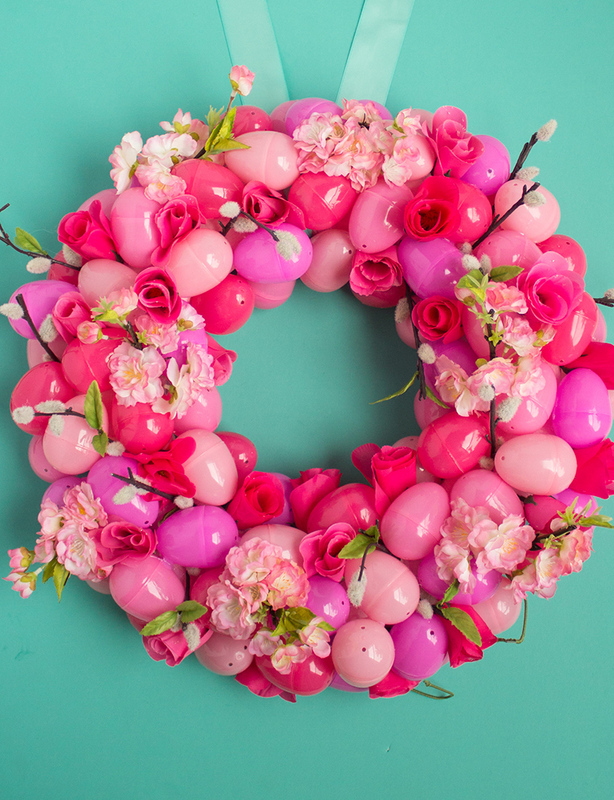 Put together pink plastic eggs and add some flowers to get this lovely wreath! 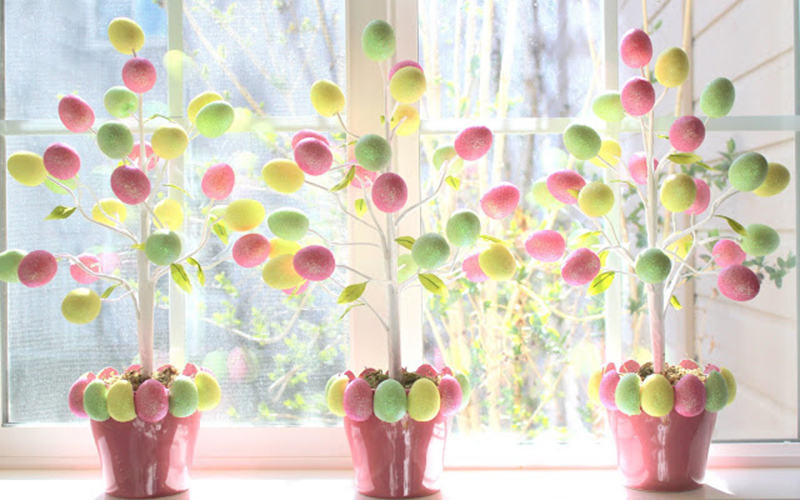 And take note that you have to use different shades of pink eggs for that ombre effect. If you love succulents, you would surely like this idea. Use some empty egg shells. Spray paint them. Open one side and add soil then plant your succulents. Just totally cute! 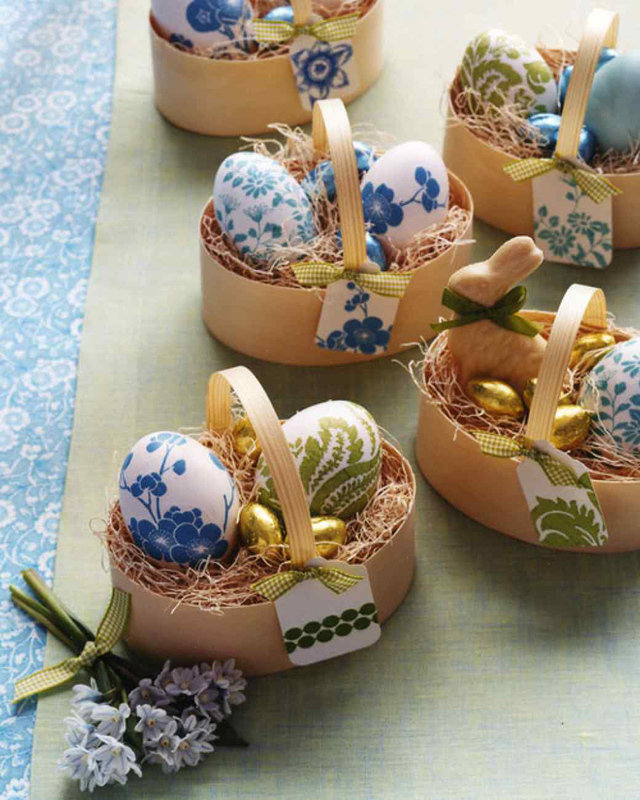 Get a napkin with beautiful prints and cut along the print to decoupage it on the eggs. Make a cardboard basket for your lovely eggs. 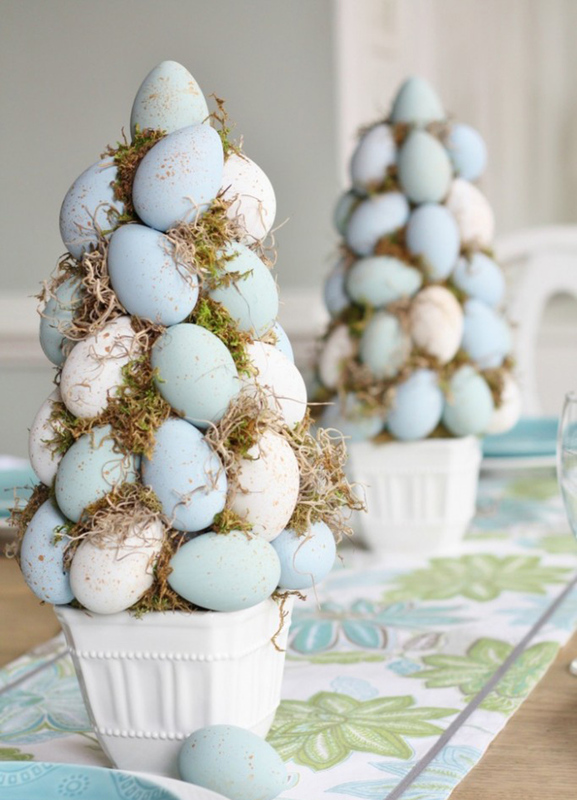 Add some foam glitter eggs on a branch to get this lovely home decor. You can surely use this even when it isn’t Easter. 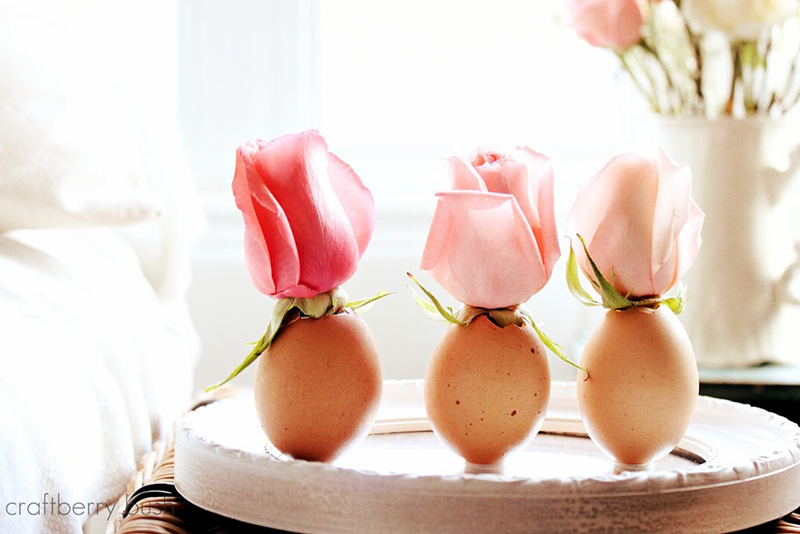 A very simple and easy egg flower vase. Just glue it on a mirror using candle wax after you open the upper part for the flowers to get in. 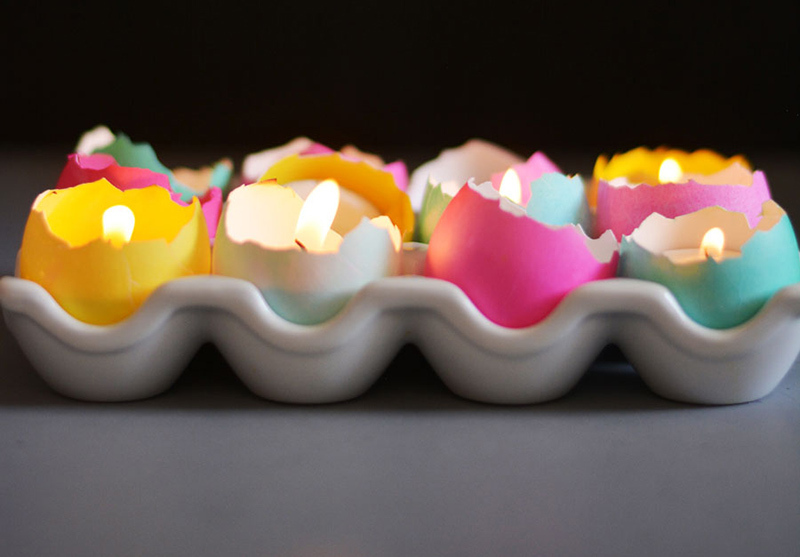 You can also use the eggs as candle holders by molding the candles inside it to create cute tea lights! All you have to do here is some painting. 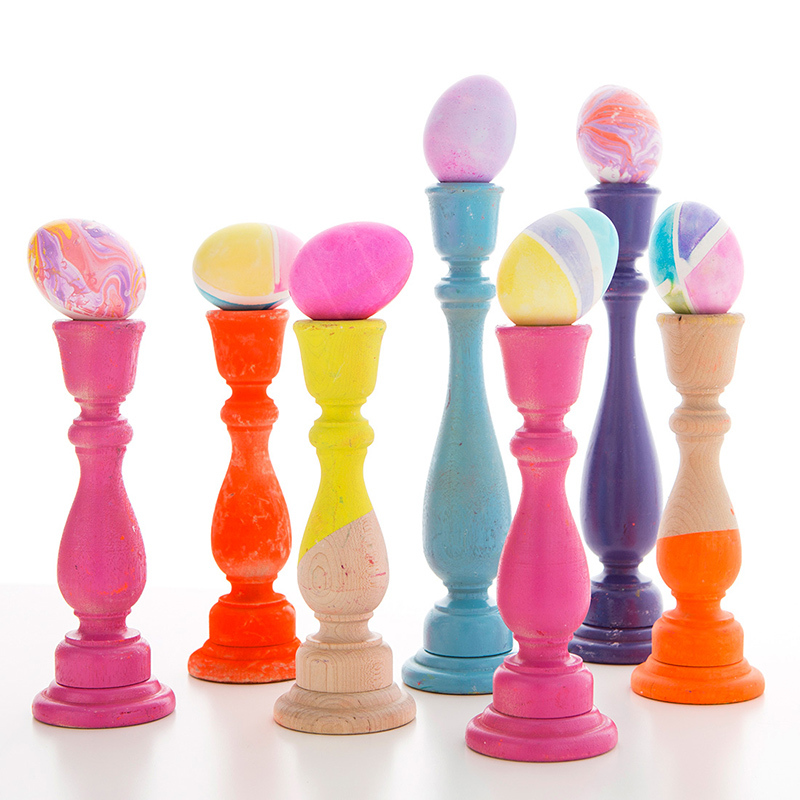 Painting the eggs and the candlestick and then place the eggs on top of it and you are all done! 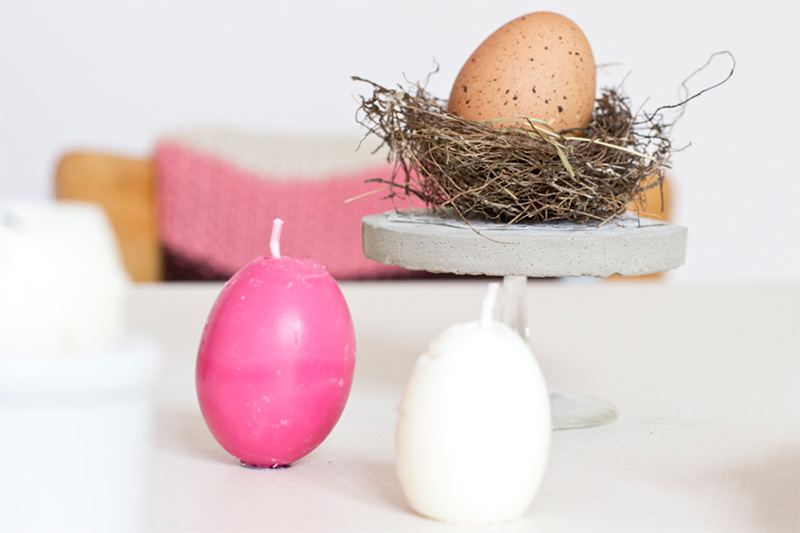 Aside from the tealight candles inside the egg shells, you can also actually make candles that are egg shaped. Simply decorate your eggs using sharpie and write some messages on it. Then creatively arrange it with crepe paper flowers that you can make. 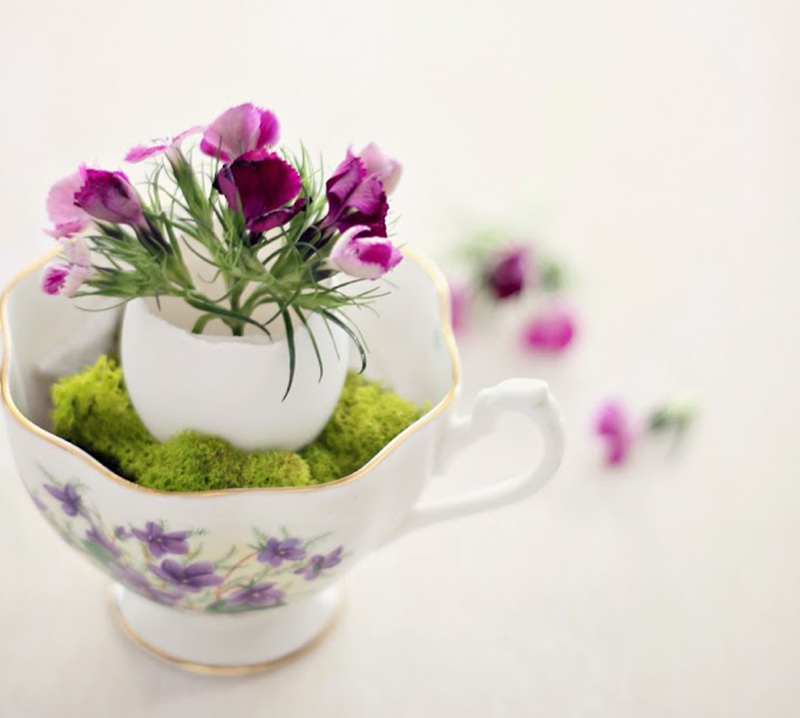 Using one egg, place it inside a cup with some moss and then add whatever flower you like. You can make many cups like this. These are all super nice! Cuteness overload! I am sure that after seeing this list you will realize that you just wasted the eggs that you threw away because you can actually make something that is very cute using it. Yes, there are many items that you can make using the eggs and these can be adorable year round decor for the home. 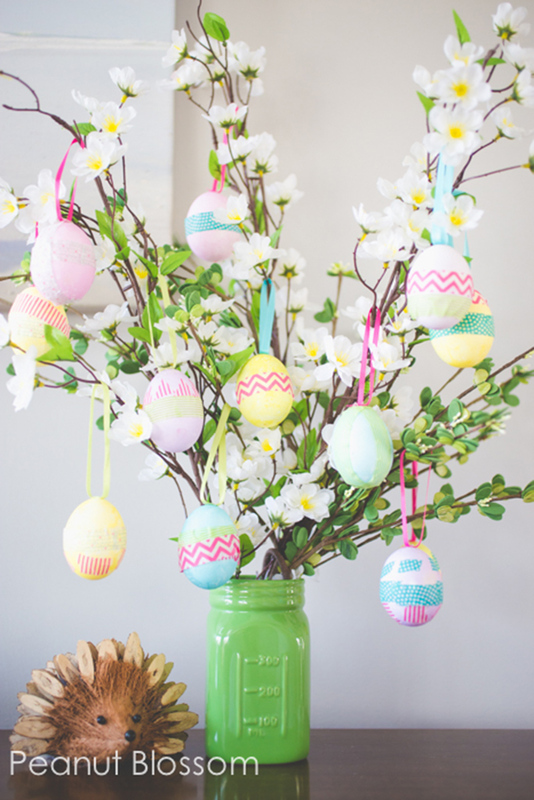 Now tell me, which among the DIY egg decors do you think you would try making?